I hope you will take me up on my FREE OFFER and download my new book right now! It contains years of research, testing and PROVEN RESULTS that will change the way you view selling and marketing for the rest of your life! Hey listen...I certainly can't force you to take action. I can't make you download the book and use it to help you grow your business. That is up to you. To be honest, some people will do absolutely nothing with the information they recieve. If you are one of those people, don't even bother to download the book. It won't help you. But...if you are in need of help growing your business, increasing your sales, generating more referrals and making more money...stop reading right now, enter your name and email, click the red button to get a download link for your FREE book! "My name is Mack Glover and I'm the President of Arrow Pest Service in Panama City, FL. I have been working with Hal Coleman for 1 one year and we have seen a 65% increase in our sales revenue since we have started. I made up my mind that I was going to do whatever he instructed me to do (no matter how CRAZY it might sound) and it has paid off in a BIG way. Hal is very professional and amazing to work with and I always look forward to our weekly meetings, so much so that I've signed up for another year. Please feel free to contact me anytime about Hal's coaching program." Mack Glover, President - Arrow Pest Service, Panama City, Fla.
“I signed up for a year of coaching with Hal and it was money well spent. Hal is very knowledgeable in the pest control industry and how to help you grow your business in today’s market as well as what the consumer is looking for when they make that call to hire a professional pest control company and why that company should be you. Thanks to Hal I just ended the first quarter of the year with a 66% increase over this time last year! Bruce Blease, Blease Exterminating, Moultrie, Ga.
“After working with Hal Coleman for a little over 6 months, we are growing at a rate roughly 3 times what we have done in the previous two years.” Bill Stewart, NatureZone Pest Control, Phoenix, Az. 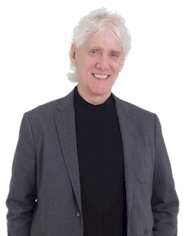 “I booked one day of coaching with Hal Coleman and I can honestly say that I got my money’s worth during the very first hour we spent together. I received so much powerful and useful information that I was blown away by it. 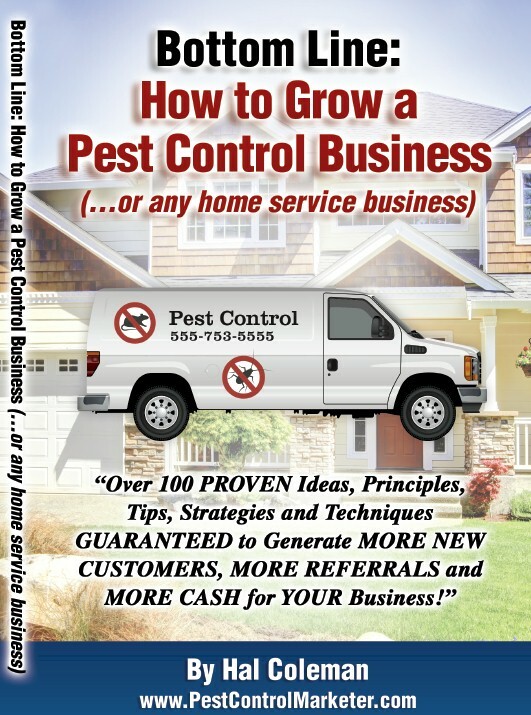 He certainly lived up to his reputation of over-delivering on everything he promises.” Mark Hunter - President, Landmark Pest and Wildlife Solutions, Macon, Ga.
“After 35 years in the business, we thought we knew it all. But, Hal Coleman has showed us ways to grow our business that we never would have thought of on our own. Our company’s overall moral has increased, our phone calls have increased, our customer retention has increased and our employees are bringing in more referrals than ever before. We are growing in ways that we never would have had we not hired Hal to show us. It has been a great investment for us. Thanks Hal!” John Kaiser, President, Island Pest Control, Hilton Head Island, S.C.